Milk Collection Centers | Page & Pedersen International ltd. The MCRS is an example of a highly reliable turn-key system for stand alone milk collection receptions. The MSRC is specifically designed for operation on rural areas where low or no power source is available. The system consists of 2 elements: The Milk Collection Reception (MCR) and a Milk Collection Reception Power (MCRP)System. The MCRS gives the using organization a full set of tools for milk collection with supplier identification, milk composition test, supplied milk weight recording, delivery receipt and status for both supplier and receiver. The MCRS can operate with dual species milk supplied. 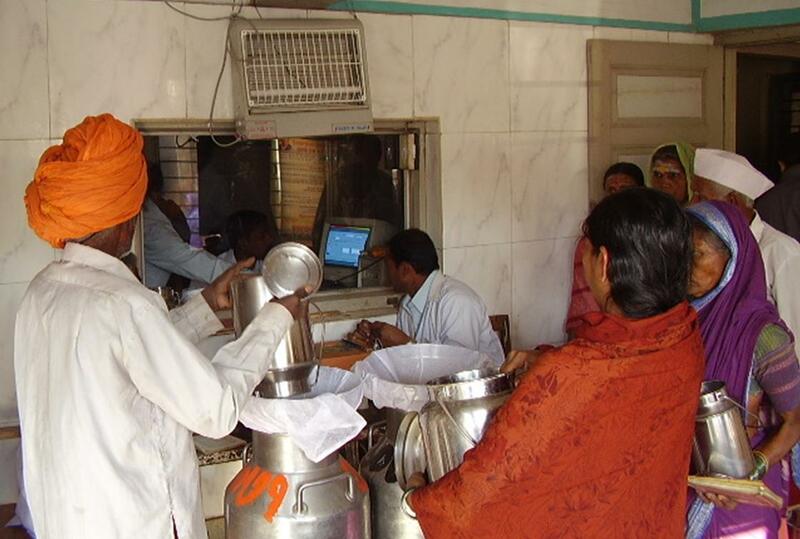 The MCRS includes all hardware and software for milk reception (does not include any of the hardware or power source related to the milk cooling/storage). The MCR consists of the MCR Software package, the LactiComp (computer and display with touch screen), a milk analyzer and a scale for the milk weight information. Additional accessories such as RFID Card/Tag reader and printer are also included. The system operates without keyboard and mouse – it utilizes the touch screen but does have a software keyboard on the display if needed. The MCRP is an addition to the MCR for locations where ordinary mains power isn’t available. The MCRP System consists of solar panels, solar/battery controller/charger, Power Supervision System and batteries. If the MCRP system is used, a Power Health Check is incorporated into the MCR software. The Health Check information will come from the Power Supervision System which will provide a set of data when prompted by the MCR software. The MCR software will have a simple threshold alarm system identifying issues with the power system and provide an alarm so the operator can take appropriate precautions. The MCR software also contains a financial element. The software has a small financial data base where the supplier’s financial information is contained.